Electrical test and tag of portable appliances is paramount to any safety strategy, designed to minimise the risk of injury because of defective electrical equipment. Our qualified technicians can test each piece of your electrical equipment meeting the highest standards of safety in line with AS3760:2010. 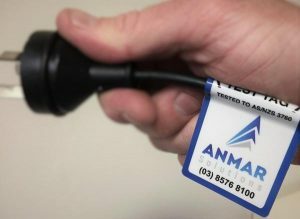 Your equipment is tagged (including a unique barcode) with a highly advanced Portable Appliance Tester (PAT), and recorded on the Anmar Solutions database. This thorough testing system ensures that best practice OH&S risk management is always present. Under the Occupational Health and Safety Act 2000, employers are obligated to ensure their workplace is safe for employee use. Testing & Tagging is a vital component of this obligation for best electrical safety practice, as defective electrical equipment carries a serious risk of electric shock. 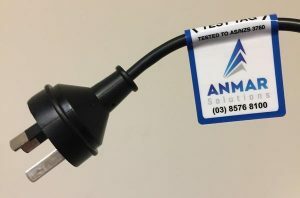 Anmar Solutions conforms to all electrical safety and inspection standards outlined in the AS/NZS 3760:2010 “In-service inspection and testing of electrical equipment”. Anmar Solutions guarantees best-in-class service that conforms to all industry standards and exceeds them where necessary. All of our Test and Tag practitioners are fully trained and accredited. We make keeping track of your OH&S electrical safety obligations an absolute breeze. We provide pricing structures that cater to multiple organisation types to ensure compliance with scale and electrical safety standards. There are no hidden fees in our pricing structure. We provide first-class customer service and always work with complete transparency. Anmar Solutions provide Test and Tag Services from $4.50 per tag ex GST. No hidden fees and all inclusive!